An insatiable appetite for his craft has taken Tom Kime around the world, cooking, teaching, consulting and absorbing the techniques involved in an array of international cuisines. 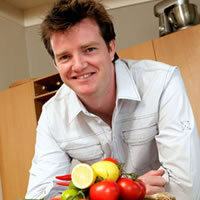 MyRecipeBook offers the recipes from Tom's recent New Zealand TV Show: Tom's Kitchen, produced by MWC Media. 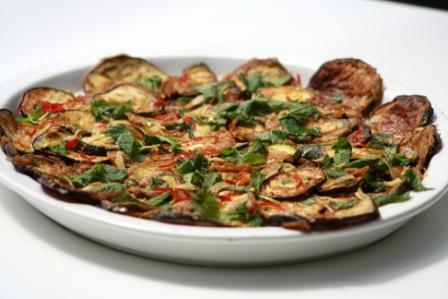 Slices of Zucchini could be used as opposed to the aubergine. Both are delicious. The aubergines are hot, sweet, salty and sour, and are light and refreshing. 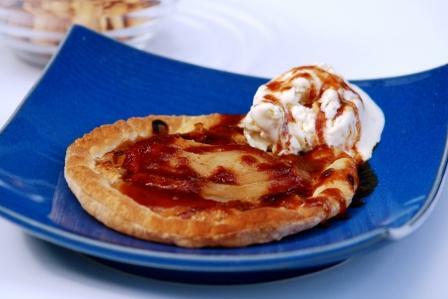 These little tarts make a beautifully elegant dessert, made from a thin disk of crisp pastry with glazed, caramelised fruits. They look sophisticated and hard to make, but are pretty easy and your guests will be very impressed. This looks spectacular on a large platter on the centre of the table for your guests to help themselves to. 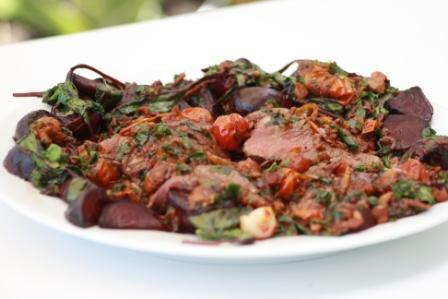 This dish takes an hour from start to finish, The beetroots take about an hour, or until they are soft to the point of a knife. The meat takes about 20 minutes to cook. By cooking the meat as one piece it is really easy to cook and then slice. 90 % of the meat should be medium rare. 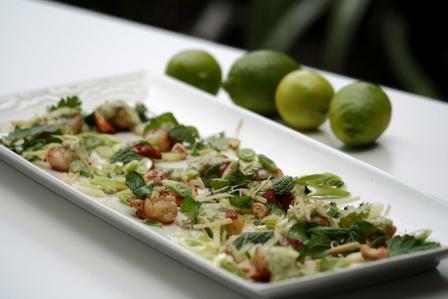 The spicy food from the island of Penang is famous for its great seafood dishes. 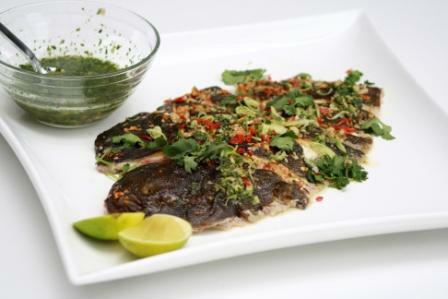 Bordering Malaysia and Thailand the cuisine has been very influential on the larger region as a whole. We tried a bounty of different dishes and local seafood specialities, but this fish was definitely the favourite in the Penang night market. You can tone down the chillies in this dish to suit your taste.